Command and Conquer is set in the Generals universe, that means no GDI or NOD, but it also means more freedom in terms of the story. Here's what's planned for Episode 1. The first Campaign Missions will follow the Asia-Pacific Alliance (APA), as they attempt to stabilize a world that once again teeters on the brink of war. Having sat comfortably as the world’s foremost geopolitical power for nearly a decade, the APA finds itself challenged on all fronts. The upstart European Union (EU), a high-tech, single-state entity with an increasingly expansionist agenda continues to flex her muscles, while a series of increasingly bloody uprisings have torn key APA and EU satellite nations asunder. Rumors point to a newly reconstituted Global Liberation Army (GLA) as the instigator, but witnesses have described technology far beyond the reach of any normal terrorist organization. Concerned, the APA dispatches an elite force to infiltrate the latest, most volatile rebellion, one targeting an EU backed dictator. Their mission - learn the truth about the GLA, undermine the EU and restore peace to the globe. We've been told that these missions will be playable in both single player and co-op with more dynamic content added as time goes on. 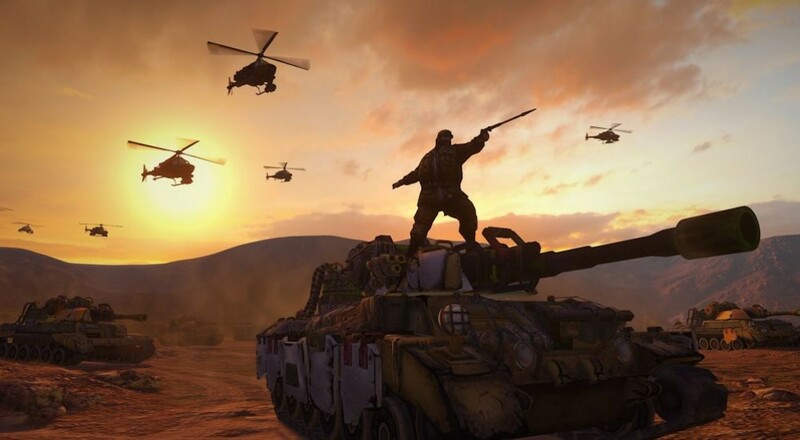 These missions will of course be free to play in addition to the game's versus modes as well as Onslaught, an objective based co-op mode where players team up to defend their base from enemy hordes. A new trailer has been unveiled teasing the campaign missions. Command and Conquer will launch before the end of 2013 and will be accessible via EA's Origin service.